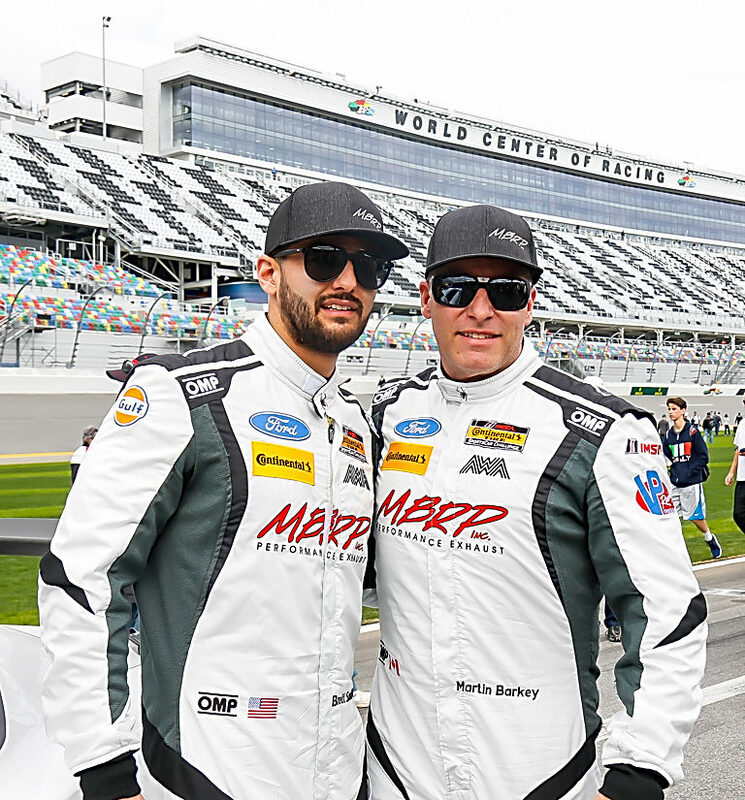 Martin Barkey and Brett Sandberg earn top 10 finish in grueling 4 hour Daytona endurance event. 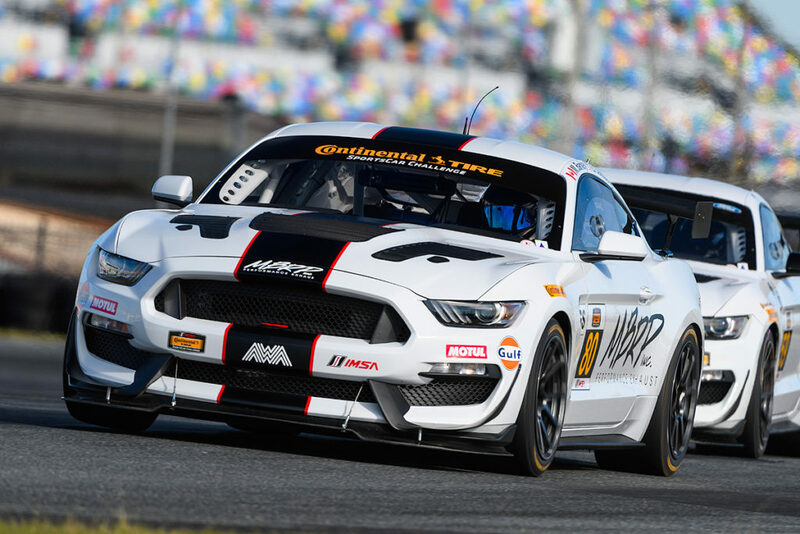 Despite being a newly formed team for the 2018 IMSA CTSC GS season, the extensive experience of the AWA team members truly showed at Daytona, where drivers Martin Barkey and Brett Sandberg earned a top 10 finish in the grueling 4 hour endurance event. Brett Sandberg left, Martin Barkey right, just after a jam packed fan walk on the pit lane. 4 hours meant 4 stops, crew was on point all day. Andrew Stittle on the front gun. Brett helps get Martin strapped in and ready to go. The AWA team is partnered with some legendary brands. Gulf and their line of competition lubricants provide maximum performance and protection in the engine, trans, diff and brakes. 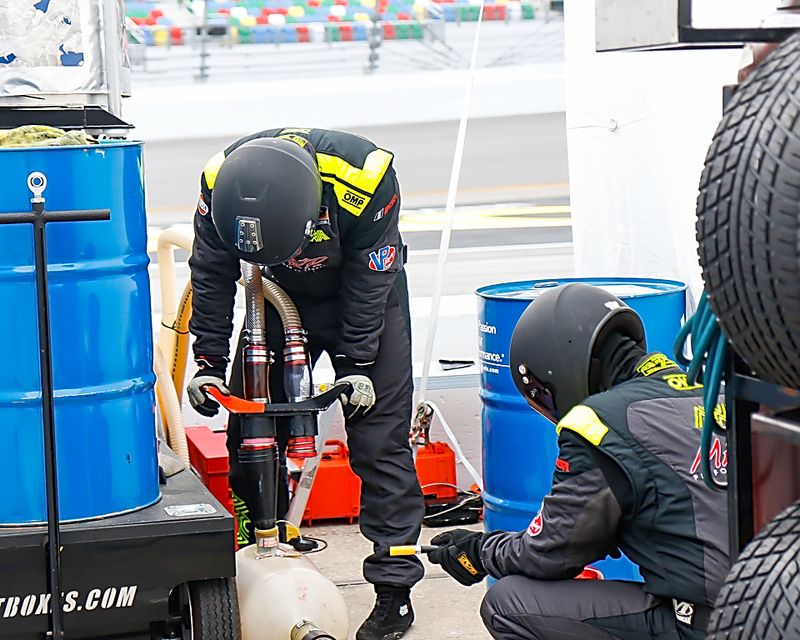 Look for drivers and crew outfitted in the latest OMP driver/crew suits and fire gear, keeping us safe over the wall and behind the wheel. Spyder and their fashionable, technical apparel will be making sure the team stays dry and warm on the cold days, and cool on the hot days. 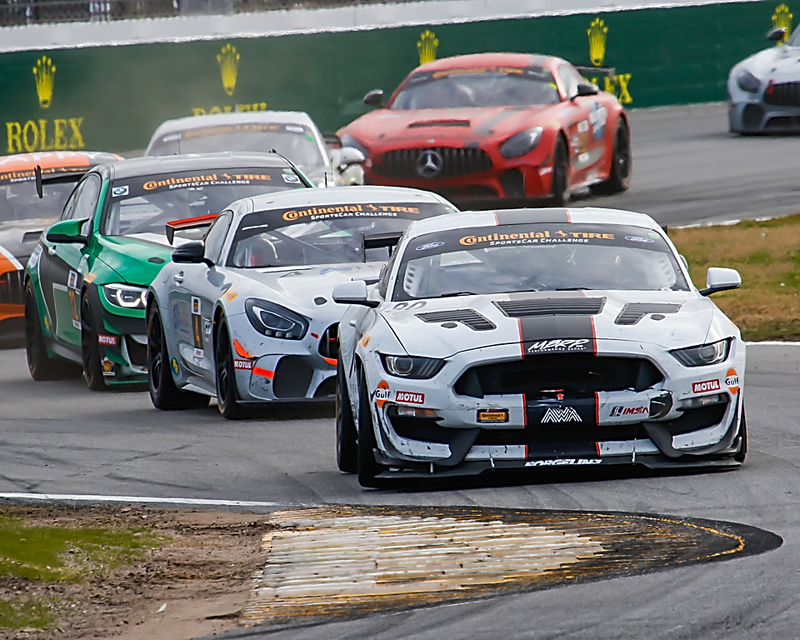 On the road or at the airport, you’ll see the team sporting Projekts’ line of bags and luggage, stylish and durable gear making sure everyone’s valuables arrive safely at the track. SekanSkin will be cutting/printing vinyl and watch for ongoing collaborations with DNBK, creator of the AWA artwork. 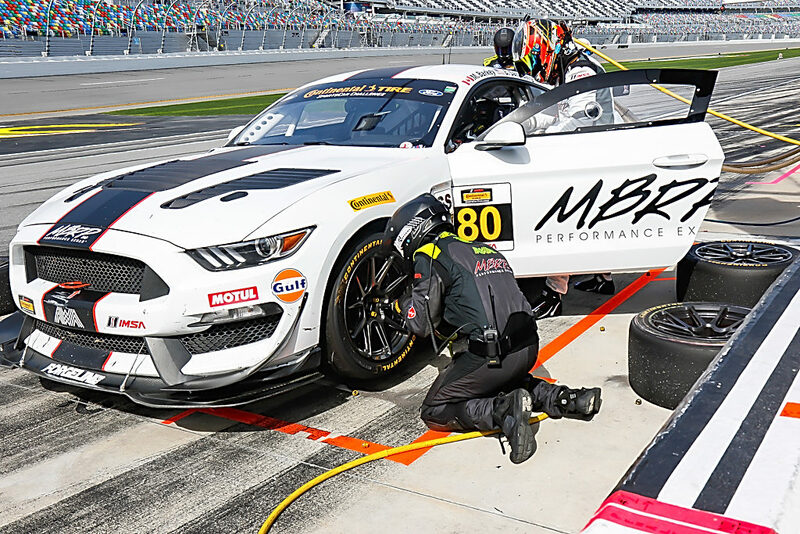 Time to empty the fuel rig and prepare for Sebring. Dave Sibbitt left, Adrian Taylor right. Be sure to follow along on the team website at awa.team, on Instagram at awaracingteam and on Facebook at AWAracingteam. Also be sure to check out MBRP.com for all of your performance exhaust needs. Do you want to get behind the wheel? Email andrew@awa.team for details. Photos by Ray McAloney and Ford Performance.